As Spring season approaches and warm days draw near, the unleashing of new music is also on the horizon for us at Compose Yourself Magazine. With some of the largest music conferences occurring in March (SXSW in Austin, Texas and Winter Music Conference in Miami, FL) there always seems to be a surplus of fresh raw talent waiting to be found – needless to say, it’s the most wonderful time of the year. 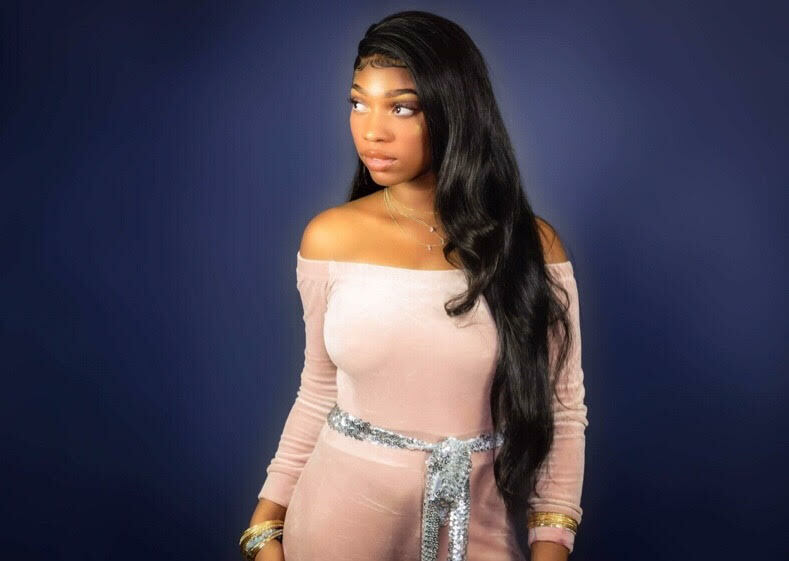 Our latest musical discovery comes from artist Retta’Reye, a young and talented songstress based in Portland, Oregon. Her first single, ‘Pull Up’ combines infectious melody, tight production and the singer’s own sensual yet delicate vocals – all pretty impressive for someone dipping their toes into the music world for the first time. Although it’s her only release so far, we’re already onboard with whatever she decides to drop on us next. We were able to catch up with Reye to find out more about this rising star and what to expect from her in 2019 and beyond. CYM: You’re launching your first ever music single on March 22nd – how long have you been working on the release, and when did you first become involved with music? Retta’Reye: My first involvement with music was at a young age. Growing up, my mother being a First Lady in a Baptist church; I had a special position in the church choir. Although I would consider myself a very spiritual person, as I grew older I distanced myself away from religious beliefs for very specific reasons. Nevertheless I always loved music and was always known to be singing out loud at random times of the day. Recently I started recording music as a outlet to relieve trauma and depression. It wasn’t until I got in the booth for the first time with so much built up emotion that I created what is now my first anticipated EP Single “Pull Up”. CYM: The preview for your music video is dope. What was your vision for the shoot, and how did you decide on Paris as the city to make your brand go International? Retta’Reye: The vision for my music video came together on its own. Months before I made “Pull Up” I was aware that I would be traveling to Paris for fashion week as a birthday gift from a good friend. It wasn’t until a couple weeks before I left to Paris that I had recorded “Pull Up” and decided to plan to capture the visuals while I was on the move. With the song only 90% done and not even mixed correctly, I envisioned it complete. While shooting in the streets of Paris, I gained a lot of attention from the natives. Being able to see how supportive the people in Paris were of my music gave me the confidence I needed to believe in myself. To be 5,000 miles away from home in a completely different country and experiencing people come up wanting to take pictures with me, ask me about my song, and ask where to find it when it releases, not even knowing who I am and where I came from came as a complete shock. Nevertheless, the visuals will give you vibes, culture within culture, emotion, love, hope, and a beautiful scenery within the city widely known for “enlightenment” to tell a very real story about a broken girl overcoming pain through friendships. CYM: I think it’s safe to say that traveling is definitely one of your hobbies. How essential do you believe traveling is to your life, and what’s your advice for those wanting to escape their comfort zones? Lauretta’Reye: Traveling is definitely something I love to do and is very essential to my livelihood. As a Aquari/Pisces woman, I strive off the feeling of being free, so naturally traveling gives me the opportunity to fulfill that emptiness by seeing new places, trying new foods, and meeting new friends along the way. My advice for anyone wanting to escape comfort is to not second guess yourself or make excuses on why you can’t enjoy life and just do it. There’s so much to see so much truth out there to embrace you just have to be comfortable with being uncomfortable and take the leap of faith. CYM: What was your first stepping stone to getting where you are now? Lauretta’Reye: My first stepping stone was self love. In the past, I’ve put myself in situations in life where I’ve put others before myself and although I’ve proven my love is unconditional I ultimately allowed pain to consume me. So my first step was to heal myself. I know for a fact I wouldn’t be where I am now if I didn’t make the decision that I was going to love myself more and forgive myself so that I could find a way to be happy. With that I’ve made a lot of sacrifices, said a lot of prayers, a lot of meditation, and a great amount of sincerity and willingness to change. CYM: Are there any current artists you’re really resonating with at the moment? Lauretta’Reye: Recently artists such as Erykah Badu, Ari Lennox, Solange, Sza, and Jhene Aiko have all been artists I’ve resonated with. I think what most attracts me to all of these artists is the way they use their platform to promote women empowerment through soft sounds. I also am known to use my platform to promote love through my leadership affiliations with SunReyes Beauty; (a Hair Company I started to promote self love throughout my community) as well as with #blacklivesmatter organizations such as Don’t Shoot Portland. Dedicating over 4 years of unpaid hours to changing laws, volunteering at homeless shelters, book drives, leading protests and coordinating events under Teressa Raiford has definitely shaped me into the woman I am now. Although, the importance of rebuilding my community has always been in my heart by action, I also understand that there are multiple ways to heal whether it be by protest, self love, or by music. CYM: What do you think is the single most important aspect when it comes to building an artists’ brand? Retta’Reye: Awareness. I believe being aware of who you are at every second of the day gives that extra affirmation to people around the world that are supporters of my art that I am not artificial. Originality is very important in everything that you do. So I’ve always said, it’s better to be outside the box than to be put in one even if it’s lonely or it makes you different than the rest, because if your confident in yourself that same energy you carry is going to make people want to be confident in you. CYM: What are your plans for 2019, and is there any big news we should keep our eyes peeled for? Retta’Reye: My plans consist of a lot of art. All I could suggest is to just keep looking out for my movement whether it be traveling, visual art and more music you can vibe to but especially my first EP “Pull Up” officially releasing on the 22nd and the visuals dropping soon after. You won’t want to miss any of it.